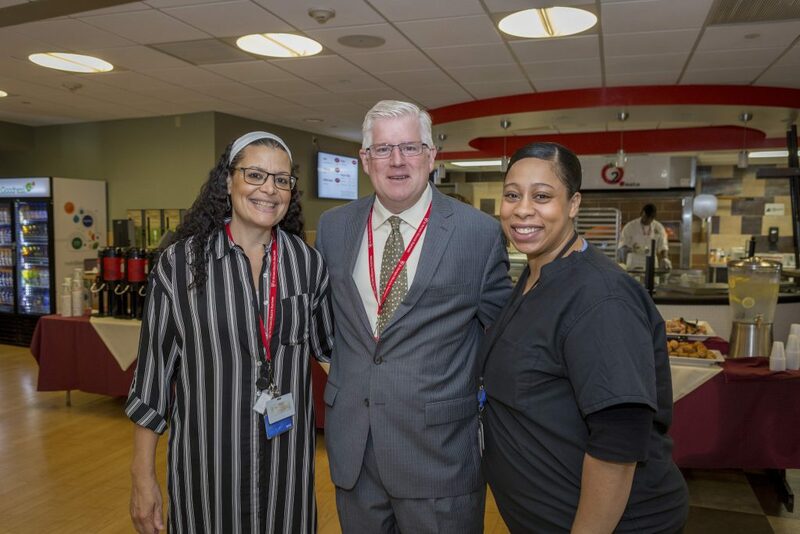 On Friday, July 20, colleagues at St. Peter’s Hospital had the opportunity to meet St. Peter’s Health Partners’ new President of Acute Care Mike Finegan. Mike met with staff and volunteers over coffee and muffins. St. Peter’s Hospital colleagues will have another opportunity to meet Mike on August 17. Mike will have meet and greets at the other St. Peter’s Health Partners’ hospitals each Friday through August 24. View the schedule of visits here.